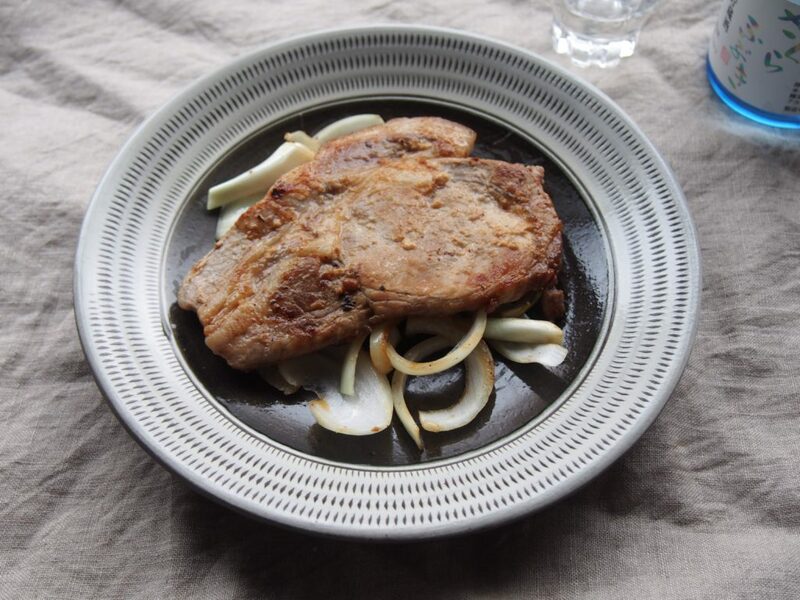 Hanako’s Recipe: Pan-Fried Pork with Sake Kasu Miso – SakeTips! １．Mix [A] to make sake kasu miso paste. ２．Paste (1) on both sides of pork loin and leave it out for more than half a day. *You can enrich the flavor if you rest it more than one day. ３．Wipe off the paste on the surface of (2). ４．Put the oil into a frying pan, and cook (3) on a low heat. ５．Turn it over when one side browned, then cook vegetables together. Easy, Quick, But Super Rich! Imagine when you get home late at night but starving, also in drinking mood – this recipe would help you. Easy, quick, but the flavor is super rich, best with both sake and cooked rice. When I buy pork loin, I always paste the sake kasu miso sauce on it, place in a self-sealing food storage bag, then put it in freezer. Moving it to fridge in the morning, I can cook thawed one soon after work. Oh, you forgot moving it because you overslept? No problem – you can also fry frozen one thoroughly on low heat. 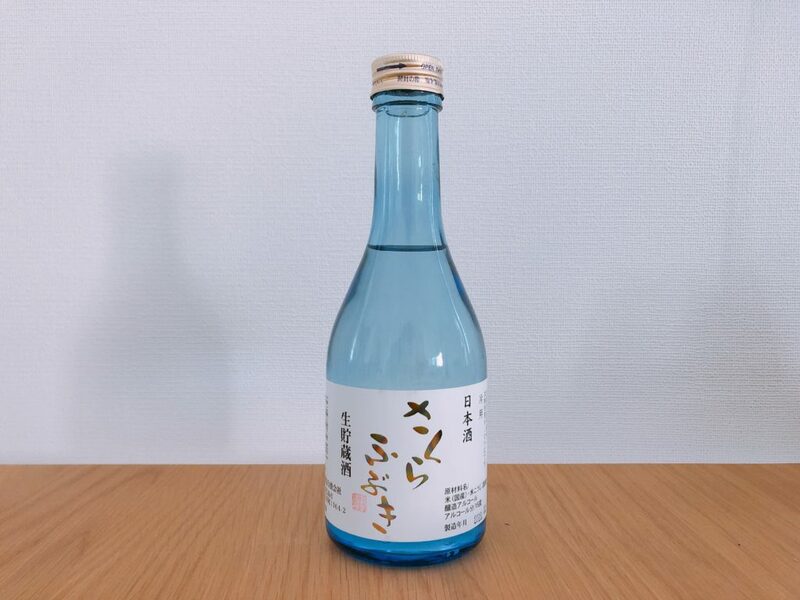 Sakura-Fubuki is a dry sake with refreshing aftertaste. It goes well with mellow flavor of miso.